World OutGames Miami Trip Report: True Strength in the Face of Disaster. Champions are those who not only have the courage to take on any challenge no matter how daunting but also those who no matter how many times they get knocked down always get back up. Given this whole fiasco and mess with the World OutGames Miami, it is way too easy for me to write a negative article expressing all my feelings regarding that situation. The LGBTQ community has no shortage of negativity. However, that is not me and it’s not fully reflective of my experience. It’s time we took a bigger look at the positivity! I had known of the problems regarding OutGames Miami early on and was extremely reluctant to register. I did so at the insistent of many different friends who really wanted to see me and spend time having a fun weekend of swimming. Going to Miami – that was my expectation and plan; to swim, spend time with friends and have fun! That was something that World OutGames could not cancel for me. I signed up for my standard events, which to many people might seem like an exhaustive agenda. The 200 fly, 400 IM, 400, 800 and 1,500 freestyle events can seem exhausting even to me at times! I love those events though because they are challenging and something that not everybody can do; that’s what appeals to me. Each of the 4 days of competition I had at least one event, with 2 events on Sunday (with a nice nap following!). One of the key elements to helping me have a successful swim is my way of warming up and getting into “the Zone.” The Zone is a mental and physical place where you become so focused and engaged with your activity and task at hand that you’re almost completely blind to any distractions in the world around you. The Zone is a state of meditation where anything is truly possible. Everybody is different, and we all get into the zone in our own unique ways. My way is by dancing! As in strutting around on deck, headphones blaring and shaking my booty. It also really helps me reduce any race anxiety I might experience. Most importantly though is that it really reminds me of why I am there; to have fun! Through dancing I can shed off any pressure I might put on myself in my race and I have learned that when people see me dancing, they seem to have fun too! Positive energy is quite contagious and when we’re all having a good time, there is no challenge that we can’t overcome. We all needed some positive energy after the World Outgames abruptly cancelled their event on the first day. There was a lot of good to come out of this weekend. I personally had a great meet! With some excellent swims and even a couple of personal records, I was fully in my zone and ready to swim hard and fast! In addition, it was also a great statement for the power of the LGBTQ sports community and was truly inspiring. At the aquatics events which were one of the few sports not cancelled, the host swim team, the Nadadores really stepped up to ensure a successful meet regardless of what happened at OutGames. Our fellow athletes in aquatics and other sports that were cancelled really stepped up to volunteer and do what they could to help. Ever since the news broke, there have been MANY stories of athletes coming together to organize their own tournaments and events, people who are taking on the enormous challenge in spite of all the rage and disappointment to help all of us to have fun! Thanks to our unity as a community and champions who have stepped up to lead the way, many of the cancelled sporting events were salvaged to have a tournament. It is really inspiring to see that even in the face of adversity and no matter how much things might fall apart, one thing we can always count on is the power of community coming together to rise up. Some highlights of champions I observed this weekend! * Nadadores Swim Team and Miami Vice Water Polo organizing an amazingly well organized aquatics event. With several leaders stepping up at the last minute to ensure that the event ran smoothly. 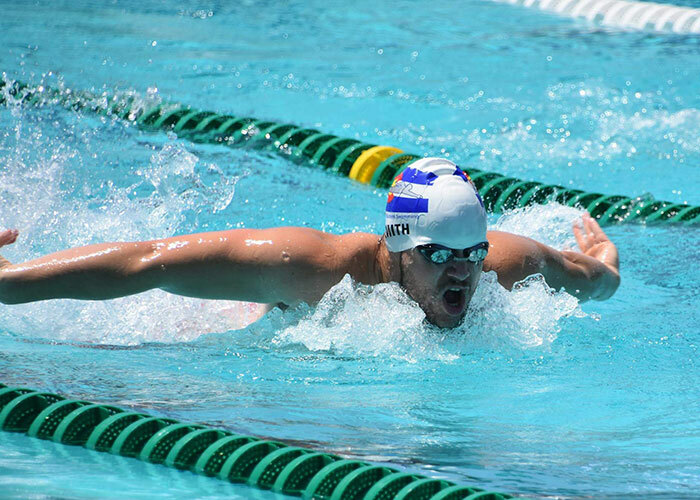 They even took on last minute challenges, including a shortage of lane lines, water polo balls and lack of volunteers; they made sure that those issues never affected the athletes. * In addition the Pink Flamingo event, which is a fun mixture of synchronized swimming and a drag show was a blast! And having Bianca Del Rio as the host made for a fun and excellent time for all of us who attended. * Athletes who stepped up to ask questions and demand answers from World OutGames Miami and GLISA. They led the charge to help salvage some sports and stood for all athletes affected. * Athletes, with help from City of Miami Beach and other local jurisdictions helped to organize many of the sports at the very last minute. Including: Indoor Volleyball, Badminton, Bodybuilding/ Physique, Golf, Table Tennis, Tennis, Basketball, Field Hockey, Track and Field, Beach Volleyball and Soccer. In the coming weeks I look forward to hearing more stories of athletes and volunteers who came together and helped put on the event that we all came for! I am inspired every day at the strength and unity that we have as a community and no doubt this will help our community grow stronger and more resilient … no matter who tries to knock us down! Strong people don’t put others down, they lift them up.